Here at the University of Texas at Dallas, the Psi Zeta Chapter of the great organization known as Chi Phi is thriving. 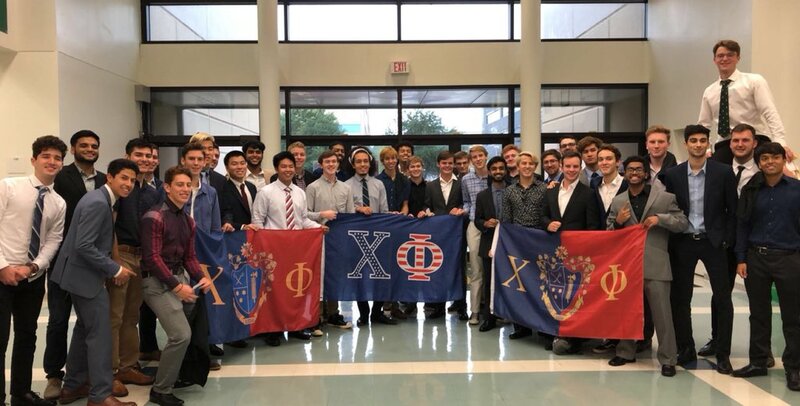 Recently, we had thirty-six great young men join Chi Phi, which is the largest New Member Class we have ever had in the history of the Psi Zeta Chapter since our Chartering in 1998. This is definitely great for us, having lost so many great guys to graduation. On the philanthropic side of things, we are planned a large event for September 28 called “Kickin’ it for the kids.” This public event had teams registered for the price of $30 each to compete in a tournament. All the proceeds went to the Boys and Girls Club in Richardson, Texas. Not only that, but the winner of the tournament received a donation to a charity of their choice. Needless to say, the entire Chapter is excited about the impact this event had on the community around us. Over the summer, we won the Outstanding Alumni Newsletter Award, an award that distinguishes our Chapter from the rest because of the quality of our newsletters in Fall 2017 and Spring 2018. As the Zeta of this Chapter, I am of course really happy with this result. It’s really important to note that several members of the Fraternity also made key contributions to the success of these newsletters, and in that effort showed how we function as a Chapter. All-in-all, I am extremely excited for the future of this Chapter in the coming week, month, year, and decade. I feel that we have definitely drawn up a great blueprint for success, and what the future holds is based on our execution of the instructions that blueprint holds.